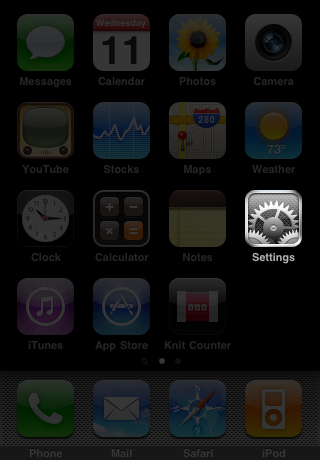 Knit Counter's settings are found in the built-in Settings application, accessible from your iPhone/iPod's home screen. 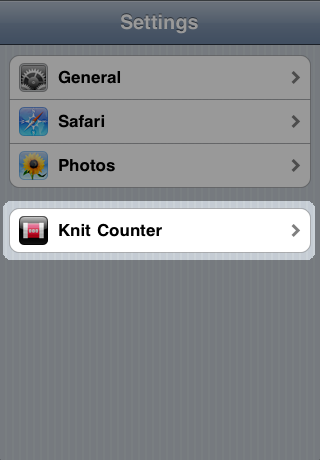 From within the Settings application, tap "Knit Counter" to access Knit Counter's settings. By default all of Knit Counter's settings are disabled. 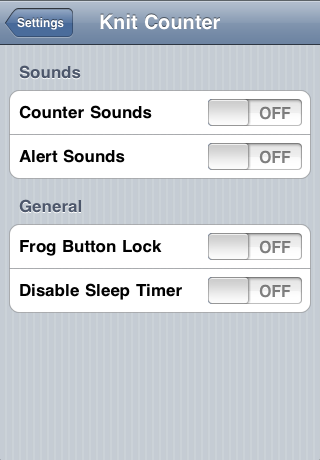 Settings can be enabled and disabled by tapping the On/Off button corresponding to the setting you wish to change. 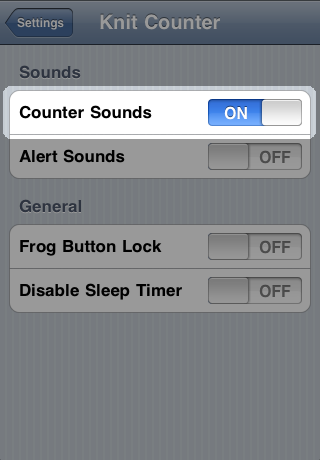 Setting "Counter Sounds" to "On" enables audible feedback when incrementing or frogging counters. This setting respects the iPhone's Ring/Silent switch status and thus Knit Counter will not play sounds if it is set to silent. 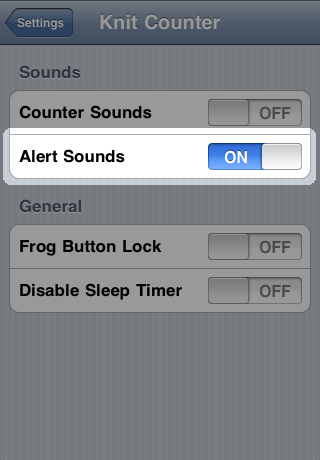 Setting "Alert Sounds" to "On" enables audible feedback when increase, decrease or general alert rows are reached. This setting respects the iPhone's Ring/Silent switch status and thus Knit Counter will not play sounds if it is set to silent. 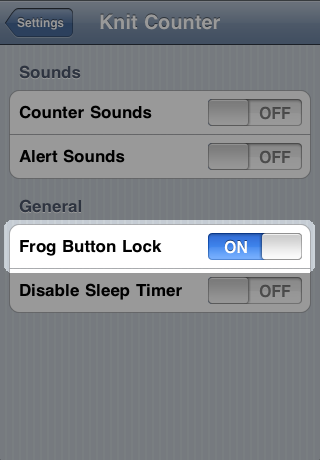 Setting "Frog Button Lock" to "On" changes the behaviour of Knit Counter's frog button so that a single tap of the frog button enables frogging, and a second tap disables it. 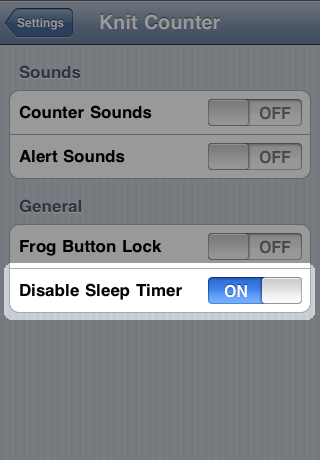 Setting "Disable Sleep Timer" to "On" prevents the screen on your iPhone or iPod from turning off when Knit Counter is running.